Hey guys it’s Will and in this page I’m going to share with you the best Clash Royale decks for all Arena levels from Arena 1 to 11 and beyond, decks that I believe to be some of the best in the game and also usable by almost everyone! 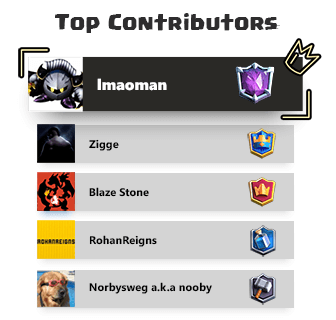 All of these decks were shared on Clash Royale Arena before so make sure you check the mentioned pages also for more detailed tips and strategies. P.E.K.K.A, 3M, Miner, Ice Golem, Zap, Goblin Gang, Horde, Elixir Collector. Giant, Mini P.E.K.K.A, Mega Minion, Zap, Poison, Ice Spirit, Log, Guards. Hog Rider, Lightning, Princess, Log, Goblins, Minions, Ice Golem. 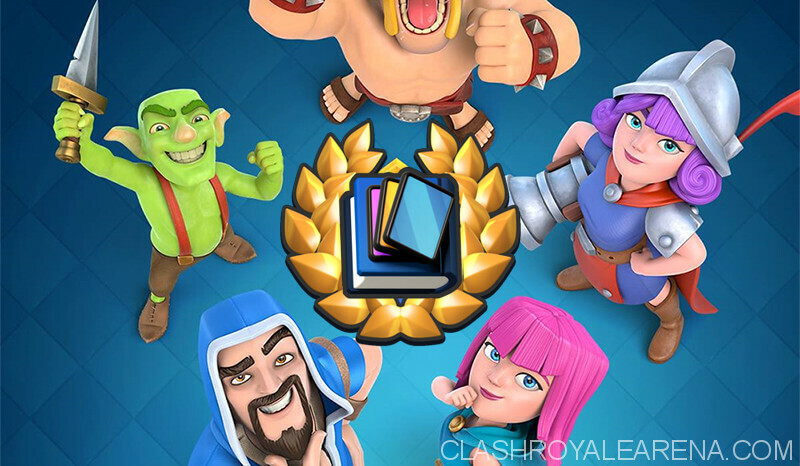 These are the decks I recommend that you use for trophy pushing because all the cards in every deck I’m going to share in this article are fairly easy to obtain and easy to level up. And it’s important that you use the best and highest level cards for moving up in Arenas. The best Clash Royale decks in this article are just my favorite ones and most of them are for Free-to-play players. For Arenas 1, 2, and 3, I recommend using any one of these three decks. All three of decks are very easy to master and have excellent synergy. All 3 above are standard Giant Beatdown Decks with support cards that cover the following areas. A mini tank – Knight that can defend for a positive trade vs common cards like Musketeer. in the back etc and whatnot. Musketeer: Anti air single target damage to take care of Baby Dragon. Baby Dragon is annoying as hell in low Arenas. Always remember to utilize her range. Cheap cycle cards – I go with the 1 ground and 1 air idea. Minions and Goblins. You can use Skeletons or Skeleton Army instead of Goblins. Win condition – Giant, the earliest and easiest to use win condition. Splash attackers – Witch, Baby dragon or Bomber If you don’t have those ones. Spells – Fireball and Arrows. Very useful on both offense and defense! There are a lot of Giant decks in this arena so this is somewhat of a counter deck. There is no real splash in this deck so you want to rely on Arrows and Fireball to deal with swarms. This deck is very solid. I got my level 1 account to 2300 trophies with it. I recommend using the Giant beatdown deck above, as it is the strongest attack strategy in the lower Arenas. The Giant combined with Witch and Musketeer are incredibly difficult to counter, especially since the biggest weakness to this is the Inferno Tower, but most people either don’t use the Inferno Tower here or have very low level Inferno. We also have Minions that can be used to distract the Inferno Tower. While Skeleton Army is also a big weakness to the Giant, but with the Witch, she can instantly destroy those Skeletons with her splash. Zap bait in lower arenas is a very easy deck to dominate with. Typically, most players in Arena 7 don’t know that they ought to save spells for certain cards. You want to exploit this. Use whichever tank you like! If you run Hog then Hog use bait. You like Giant Skeleton, Valk or your Giant. Barrel is your win condition. You can include other damage dealers too like the Giant and Hog. (Only 1). Up-to you. I think any tank will do well. Defend, then counterpush with tank in front of troops then use Goblin Barrel and that should work out fine for you! This is the strongest offensive combination for Arena to be honest. Simply play the Balloon behind the Giant, and it becomes very difficult to stop it from destroying a tower, especially in the lower Arenas where there aren’t many good defensive options. This deck has lots of very defensive cards. With Balloon bomb hitting troops, if they stack units, don’t hesitate to Fireball on defense. Typical Golem deck. No collector, but if you want collector you can replace Tombstone with it. Tombstone works better as a passive Elixir advantage generator rather than pump which can get punished easily. If you think you can handle trading tower damage for Elixir advantages and think you can play well in that sort of manner you can swap out Tombstone for the Collector. This is very solid deck. Indeed. This deck helped me win a lot of Challenges. P.E.K.K.A level isn’t too dependent. Just play cautiously and don’t use her on offense. You will heavily lean on the P.E.K.K.A on defense. Miner Poison is your main offensive combo to deal damage. Easily the most the most popular 3M deck right now. This deck has been dominating since quite a long time now and I guess its safe to say that 3M have etched their name in gold in the Top Tier cards of all time. This deck is basically baiting out their spells and punishing them hard. 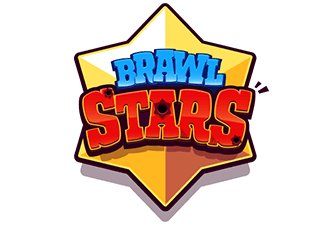 Battle Ram and Miner are the main win cons while Pump and swarms help you bait out their spells so that you can deploy your 3M and devastate the enemies. Ice Golem=Zap, of the best utility combos available right now. This is roughly the same deck as the one above. However, since ladder has a lot of Hog and a lot of beatdown, this deck will somehow deal with them better. This deck will suffer a bit vs bait decks like mortar and x-bow when you pump up and if you don’t have ice golem in rotation but if you get a momentum going it will be rather effective! That being said, ladder is taken over by beatdown and hog decks so Pekka will shine. Royal giant, e-barbarians somewhat popular in low-mid 4k also countered by pekka letting you get a lot of value. Play this really smart because the average elixir is very high and positive trades is the name of the game. Some might argue that there are better Hog decks available, but this is the most popular and most efficient Hog deck for any F2P player as well as any P2W player IMO. In simple way, keep cycling and attacking with Hog Rider to eventually out cycle their counters. Cannon can be replaced with Tornado, Ice Golem for Knight and Skeletons for Bats. The defense of this deck is seemingly weak, but can be strong with appropriate amounts of pressuring, kiting, pulling, distracting and all other tactics that exist in the game. The strongest and most efficient siege deck in the game right now for both Ladder (may be not so much *Mortar*) as well as Tournament for any F2P player as well as any P2W player. This deck has somewhat higher skill cap than other decks, but if you can pull it off, you are golden. Basically, it’s cycling your cards and defending in start until you find the opening to place down your X-Bow and defend it will all your might. After that, its more or less X-Bow cycling and protecting. Late game is basically, turtling up and spell cycle. The current version of Bridge Spam. With three bridge spam cards, you can do a whole lot of spamming and with 3 spells, stay safe in this swarm heavy meta. Basically, its Spam, Spam and Spam or Spam, Spam and Spam. Whichever might suit you. Ice Golem for tankiness (if that’s a word, but you get the meaning) and utility and Inferno Dragon as a Tank Killer. Don’t hesitate to use BS card on defense and more importantly, don’t hesitate to Spam XD. Not very P2W as you can have free to play substitutes. Great vs Hog, siege, tank decks (with Mini P.E.K.K.A) etc! With triple spell, you pretty much counter bait as well! Just know how to make smart plays. Like Musket range for pushing opposite lane, well times Ice Spirit + Zap pushes. Guards placement for splash attackers etc. When to rush, when to not and all! Fairly cheap deck so cycling is pretty easy. Weak to Lavaloon but it’s not a popular ladder deck so not too much to worry about! But that being said just pressure other lane! Easy enough Hog cycle to learn! Not too level dependent. Just be aware a +2 level with will survive Lightning. Ie- Level +4 Musket survives lightning etc. You shouldn’t really ever fall that far behind however! Mini P.E.K.K.A level isn’t dependent. However if your Goblins get 1 shot by Zap, consider using Guards. However Guards are not better on offense, having lower DPS. Get value with your Lightnings. Try to play it not too aggressively in the early game! This is the deck that Clayton used to finish #1 in the world with, Golem Beatdown. The key to playing this deck is being able to protect your Pumps well until Double Elixir, then finish the opponent’s defenses with one crushing push. Night Witch provides a ton of value behind Holem, while Baby Dragon and Tornado will take care of any air troops attacking your push. Send in the Lumberjack as soon as your opponent runs out of Elixir when they defend to crush their remaining support troops, or to destroy their tank like Giant or Golem. Once the Lumberjack dies, it rages up your support troops, causing an absolutely unstoppable push. Mega Minion is great on both defense and offense. If your opponent has a lot of support troops like Three Musketeers killing your Golem, use Tornado to nado everything to your Golem, using the death damage from your Golem and Baby Dragon splash to finish them off. 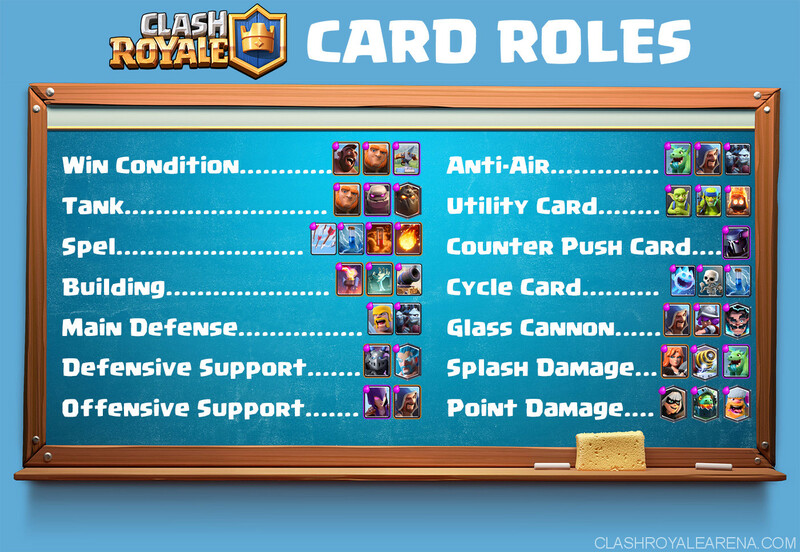 More detailed General Gameplan of each deck is being updated… Feel free to join the discussion of the best decks to use at Clash Royale Decks Forum. Bonus: Turn Your Deck into the Best Clash Royale Deck Ever! Wassup Guys! It’s B-Yacht’CH (aka DabMaster2) back at it again with another guide for your guys. Today I’ll be explaining how to improve your deck, finding weaknesses, and overall making a better deck! Keep in mind, this is not a guide about how to make a deck, but this is only a guide to making a better deck. Noticing Card Weaknesses and How to Fix Them! The best way to find out your deck’s greatest weakness is while using the deck in battle. Play against many different decks and find out what card(s) your deck struggles with the most. It doesn’t always have to be a certain card, it could be a deck archetype like beatdown. Once you have that figured out the weakness, swap in a card which can help you counter your weakness. To find out what card to swap out for, think: Which card is the most like the card I’m swapping in? Cards have separate roles they fulfill (I’ll talk more about it later). Some role examples are: Tower killer, splash damage, and main defense. For example, you swap out a Tombstone (main defense) for a Cannon. Your substitutions don’t always work. Keep play testing your deck to find the most suitable cards to use. Choosing the Right Spells for your Deck! Spells are one of the MOST IMPORTANT parts of your deck. They define your attack and defense. They are used to fill in the weaknesses of your deck and fulfill certain card roles that your cards don’t. Clash Royale Decks can use either 1 spell, 2 spells, or 3 spells. Too many, or no spells can be bad for a deck. 1 Spell – With only one spell, you will need to use a versatile direct damage spell. Examples are: zap, arrows, fireball. Having only one spell allows for the use of more troops but weakens your ability for direct damage and to damage your opponent’s troops with spells. 2 Spells – 2 Spells are the most common amount used in a deck. One spell is a high-damage spell while the other is a low-damage spell. This gives you a versatile spell arsenal. 3 Spells – Having 3 spells gives your deck a lot of spell versatility and allows you to control the battle more. You have 1 high-damage spell that you reserve for certain situations and 2 versatile spells to use on the fly. To decide exactly what spells to use, first identify what type of archetype you are using or what the playstyle is. Beatdown decks tend to use Lightning, Control decks can use a wide variety of spells, and Siege decks usually use spells to defend the siege weapon and a rocket as a backup plan to damage the enemy tower. Use spells which fill in weaknesses in your deck! For example, if you are using a Golem deck, use a Lightning spell to be able to take out an Inferno Tower. 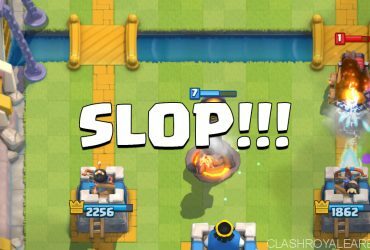 If your deck lacks splash damage, use Fireball and or Zap/Log to make up for the lack of splash damage. If you are using a “special effect” spell (Rage, Freeze, Clone, etc. ), use Arrows or Zap for a versatile spell or use two other spells to give you the ability to use a high-damage spell and low-damage spell in combination with your “special effect” spell. What is synergy? Synergy is when the combined effects of cards are greater than the sum of their separate effects. Some examples are: Tank + Graveyard, Miner + Minions, and Executioner + Tornado. Your deck in Clash Royale doesn’t always need to have every single card synergize. Too much synergy can make your deck too offensive or too defensive. Most decks are built around 2 or 3 cards which synergize very well on offense. The other cards are made to support that synergy. Now, look at your deck. Does it have a combo which synergize well? If not swap out cards to make a good synergy. Decide of you want to use synergizing spells or synergizing troops, or both. Synergy of spells will help with fast decks and synergy of troops are more for counter pushing or building up a strong push. Are they both card countered by the same card? Is there a better synergy? What is the elixir cost? Is it too expensive? If your notice any weaknesses, go through the process of eliminating that weakness by having other cards to support. For example, LavaLoon is hard countered Minion horde, so bring Arrows into your deck. What is role fulfillment? Role fulfillment is the purpose that a card is in a Clash Royale deck. A card can serve one purpose, or more! I see many decks using too many of one role. For example, they have Wizard, Bowler, and Executioner in one deck. That’s way too many splash damage! Instead replace them something else more useful. The deck may lack a high damage card. Read more: Unscrambler any scrabble word game using word undcrambler tool. Sometimes, role fulfillment can influence card usage. For example: The Hog Rider. He is a very popular win condition and is used in every meta. It’s because Hog Rider fulfills two important card roles: Win Condition and Tank. Hog Rider can be used to damage a tower and has enough health to tank damage for other glass cannons like Musketeer. The same can be said for a card which is barely used. The Dark Prince does splash damage and spell-resistant but doesn’t have enough health and damage to be a win condition. To be honest, Dark Prince doesn’t do much. When assessing your deck, notice the roles that your cards have. Are you missing a role or do you have too many of one role? Use this knowledge to your advantage and see if different cards may work better. People may classify decks as either ladder or challenge. What is it really that separates ladder from challenge? Let’s start with the differences of ladder and challenges. Ladder only has a 1-minute overtime while challenges have a 3-minute overtime. In ladder, it’s easier to play for a draw but in challenges the longer overtime allows more time for more opportunities to damage a tower. Another difference is card levels. In ladder, cards can be drastically over-leveled, but in challenges, cards are capped to Tourney standard to keep the playing field equal. Ladder decks rely on higher damage cards to get as much damage to the enemy tower as possible. The reason why Miner Poison decks are only used for challenges is because these decks use small chip damage on the enemy tower to whittle it down having a total of 6 minutes to do so in a match. Ladder matches only have a total of 4 minutes so miner poison chip damage isn’t as effective. Another thing to note is if your ladder deck is weak to certain card(s), it’s no big deal. You can take a loss from time-to-time, but in challenges, you can only lose 3 times before it ends. Challenge decks need to be very solid to be able to counter a wide variety of archetypes. The meta is an important thing to consider when assessing your deck. What is the meta? The meta is the strategy which Clash Royale players have found to be the most effective throughout the balance changes. Some previous metas are: Giant Poison, Royal Giant (*shudder*), PEKKA Double Prince, and Hog Trifecta. The meta can sometimes vary between different trophy ranges. For example, in the trophy range of 3000-4000, elite barbs are used in almost every single match, while in the top 200, Elite Barbs are barely used at all. Since the meta is used very frequently, if your deck is weak to the meta, your deck won’t see much success. If you are in the trophy range of 3000-4000, use a deck which can counter elite barbs since they are seen EVERY WHERE. In the current state of Clash Royale, the top 200 has a very wide variety of meta (finally, Supercell made the game balanced). You may also choose to use the meta. Since the meta is the most effective strategy, it’s the most like to get you wins, right? You can also modify the meta decks in Clash Royale as much as you want to fit your playstyle. The last thing I want to mention is to have faith in your deck. When you are using it, believe in yourself and have confidence. Playing the same deck for a lengthy period lets you play it much better. While your playstyle improves, you will fix the weaknesses and mistakes that you normally make. Through much practice, you finally play the deck better than anyone else would. The reason why changing decks can cause you to lose trophies is because you will still need practice to master it. You will need to face many situations to figure out how to play in those situations. Every card has many different uses beyond what you think you know. Using the same deck many, many times, allows you to discover secret tactics. When 3 Musketeers first came out, no one new that splitting them in the back allows for a powerful double lane push. Of course, there are still disadvantages or specializing in one deck. Once that deck gets pushes out of the meta and starts to have little success, you will need to find a new deck when you have not practiced in any other archetypes. By generalizing in wide variety of decks in Clash Royale, you won’t specialize in any but will still be able to play well in every archetype. Hopefully you have chosen the best Clash Royale deck for your play style after reading this page! Don’t hesitate to comment and show us your favorite decks in the game. I will post them into the main article If the are deserved!